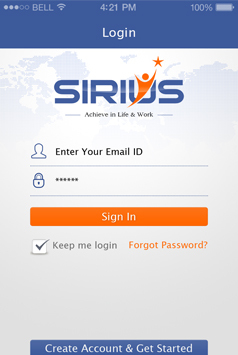 Sirius is a performance review mobile application which allows users to achieve any particular target. This application has got a broader commercial use where it can be used in organisation to track performance, goals and achievements of Employees. Users can track their work progress with the help of this application. Users can download the application from iTunes or Google play store. Users can login/sign up in the app. Users can set their goals and KPIs in the app but in order to do so, they have to buy the subscription plans. 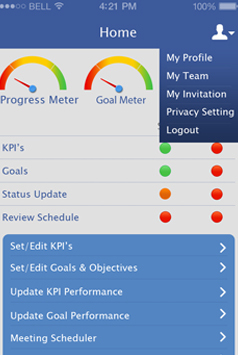 Based on the set goals/KPIs users can view and track their progress. 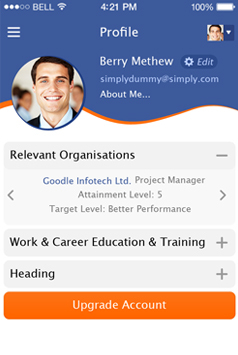 Users will have their own profile where they can add their work progress, about organization and careers. Users can add/edit the goals objective and can view the associated status updates of their goals. In this way, application helps users to track their performance for the different tasks. The biggest challenge was to update the real time data of the employees which leads the organization to keep track of the performance of the employees. Our Client was looking to develop an application which can run on iPhone devices. So, we needed to assign a dedicated team of iPhone application developers. 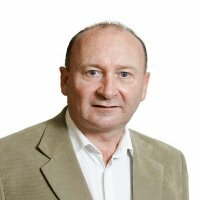 The team has been consistently monitored by the Project Manager to make the application delivered successfully to the client. This was a complex app and web system, where we manage the task assignments and evaluate the perform..
Our team has successfully delivered the application where organizations can view the real time performance goals and achievements of the employees. Flexsin has developed a performance review mobile application where organizations can keep track of the performance, goals and achievements of their employees. The client is very much satisfied with the progress of the project and he wants to have a long way relationship with Flexsin.